A new book from CSIRO about a range of animals helping their human companions to protect the environment will make a great gift for conservation-minded and animal-crazed kids. Animal Eco-Warriors: Humans and animals working together to protect our planet, written by Nic Gill, is a first-person account of some of Australia and New Zealand’s most active non-human conservationists. Perfect for readers aged 9-12, I can attest to this being an excellent book for animal-crazed children (having once been one myself). Even now, as the supposedly grown-up version of that child, I found this fun to read. Gill’s taken a great first-person approach to writing this, with first-hand experience visiting some of the four-legged conservationists around Australasia. That voyage took her from Tasmania, to Christmas Island, Rangitoto Island and the West Coast. And of course, to Whenua Hou to meet the most famous conservation advocate of them all: Sirocco the kākāpō. Parents and caregivers, be prepared for lots of facts about dogs’ amazing noses, or why crazy ants are called crazy. But even though you might know about the dogs used to track kiwi, kākāpō and whio, what about dogs trained to sniff out ants (like Rhys Jones the Welsh spaniel, pictured above)? Or invasive weeds? Or koala poo? And while it’d be easy to fill the book with adorable dogs, Gill branches out into a range of other animals, many of which you probably haven’t heard of. Landmine-sniffing rats, weed-eating goats, cows trained to prefer sagebrush over more palatable native plants. Jargon that younger readers aren’t likely to have come across before is highlighted, with a glossary at the back of the book for reference, which makes it even more accessible. 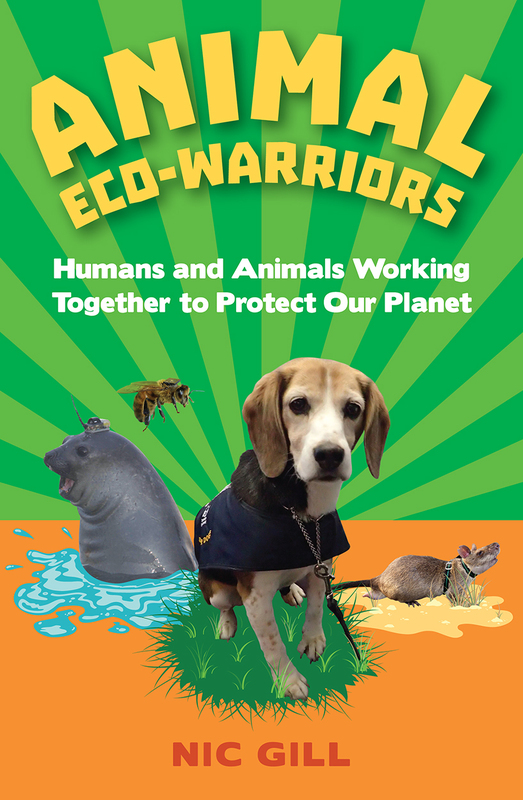 Added to the break-out boxes with more information about particular environmental issues, Animal Eco-Warriors would also be a great asset for teachers and other educators. An all-around excellent book for the smaller conservationists in your household. Featured image: Rhys Jones is trained to detect Argentine ants. Photo: Brian Shields.